As a catalyst for business and job creation, SCORE helps strengthen our local economy. Small businesses need money and mentoring to be successful. No organization is more effective at mentoring than SCORE. 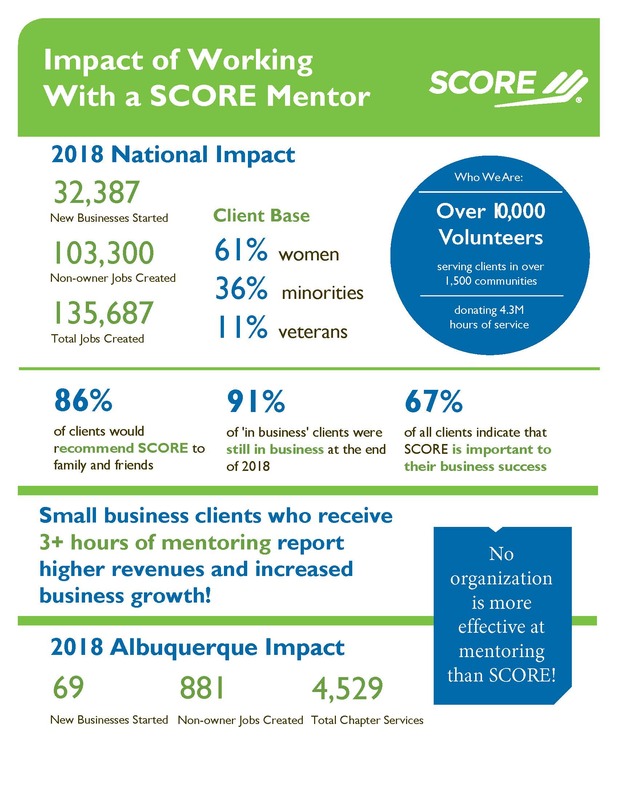 Hear what SCORE Albuquerque clients have to say about SCORE.